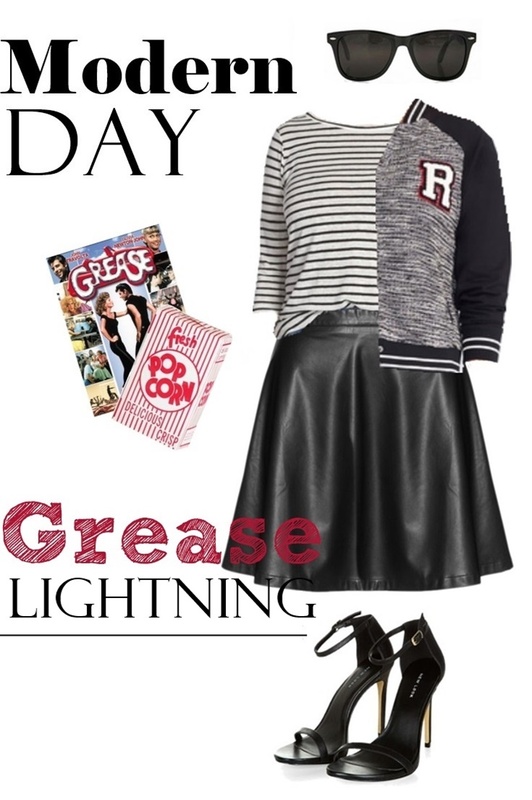 Who doesn’t love Grease? I’ve been hopelessly devoted since I saw it back when I was in middle school, so if you’re like me, you probably were glued to the TV watching Grease: Live this weekend. It definitely brought up a hefty dose of nostalgia, especially with songs like Summer Night and Greased Lightnin’, but it still won’t replace the original in my book. I will say that Vanessa Hudgens did exceptional job especially with losing her father the day before. I can’t even begin to imagine how difficult that must have been for her. And it was also nice to see the original Frenchy! She was always a favorite of mine. All this talk of summer lovin’ left me inspired to create a modern-day a pink lady to bring out our inner Sandy or Rizzo for this week's style inspiration. I had so much fun watching last night! Love that skirt!